…and we have it tonight: Shore’s Conjecture. Video to come. Mind you, it’s not the, ahem, strongest game we’ve ever seen, but it fills the bill. 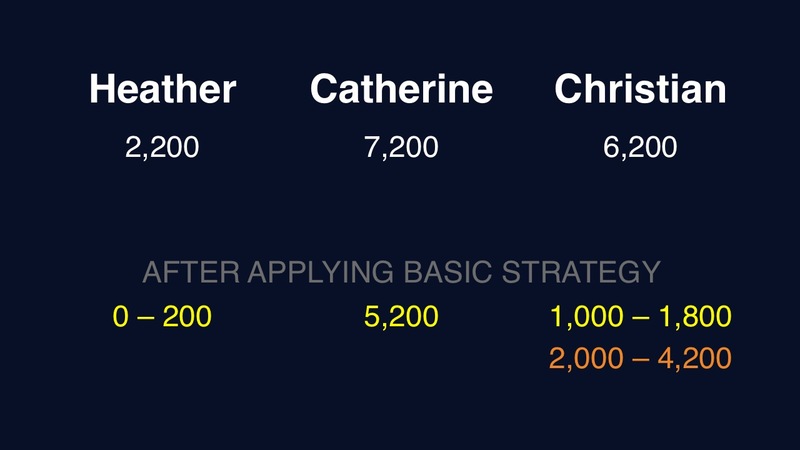 Catherine should wager 5,200 to cover Christian. Christian can wager up to 4,200 to stay above Catherine if they’re both wrong. 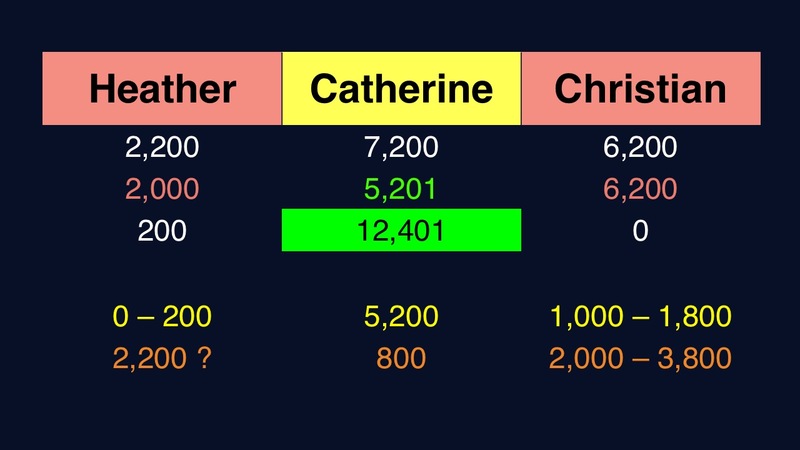 Heather can wager up to 200 to stay above Catherine should they both miss. Christian can wager up to 1,800 to remain above Heather. Christian can cover a zero wager by Catherine by risking 1,000. 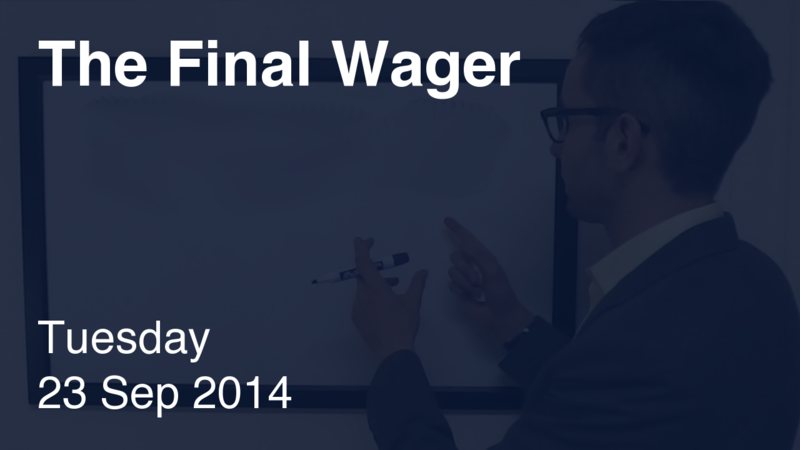 He can also cover an “unsafe” wager by wagering 2,000. If Christian goes for that 1,800 wager, Catherine can cover it by wagering 800. Heather might wager that 200 amount. To account for that, Christian should cap his wager at 3,800. On the other hand, Christian might go for that “intermediate” amount, which would allow Heather to catch him only if she gets it right – so she could wager everything. Given Christian’s weak play on the Daily Doubles earlier (400 and 600), I was really shocked he didn’t play more Shoretegically. That big wager would have cost him dearly had Catherine also missed, and the same is true for Heather. Who was Mary I (Tudor)?